It is unbelievable that United has an expensive international striker that is technically incapable of creating his own chance. At least Chicharito was a nightmare to play against and was money one on one. Not a Man Utd striker. Sell. I thought he done well. Should never have been taken off, Ole's subs are crap. 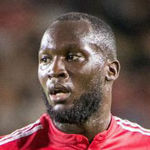 Inter will also be looking for a new center forward and Man Utd star Romelu Lukaku is being linked with joining the San Siro hierarchy: "No, not Lukaku, come on. He looks like you, Pierluigi", Cassano said to the anchor of Tiki-Taka Pierluigi Pardo who is one of his closest friends as well as one of the most popular Italian journalists who, however, is not famous for his fitness. Tomuś Nani is crap, I tell you! Think he was decent tonight, considering the shower we served. He was good tonight. Much better than Martial and Lingard. The majority of Lukaku's lack of effectiveness today,more so in the second half, is on Ole. Why have your target man continually put in crosses to team-mates who dont compete in the air ? Did he cause West Hams mediocre defence any problems? First half he did,with the lack of service.Second half he was told to be ever present on the right wing to put balls in the box,which is laughable. He was decent, not great but not bad either. He was no threat at all. The reason he was shoved out wide was because he was ineffective as a striker. He was dropping deep and providing crosses so might as well put him there... i couldnt see him receiving the ball comfortably and scoring today. Rashford was so much more lively when he came on and took over so obviously a good sub. He caused a bit of problems in the first half. I’m not saying that’s the standard we should be aspiring to, but the other two were so bad they made his small contributions seem memorable. Yeah this is the point I was trying to get at. In the first half he did. Have to be biased to think otherwise. Set up Pogba and Lingard with great bits of skill for starters. Even forgetting that, he was still our comfortably best attacking player. The sticking him out on the right doesn’t really work cos his crosses are mainly crap and his step overs are like he has lead boots on and he always has to cut back on his left. He wasn’t the worst today but we need a better top top main striker. Wish he'd shoot more. There are games when he plays decent like today but barely has a shot. Not good enough, not sure why people are saying he was decent. The standards have really dropped. I think it's more that Martial and Lingard were both incredibly horrible so Lukaku's usual nothing performance doesn't seem so bad. Ole is giving him the treatment Jose gave Martial without the harsh words. You just know if our attack isn't functioning properly, Lukaku will be the first one hooked off or shunted to the wings regardless if others are playing worse. He was our best attacker today until the subs which isn't saying much but moving him to RW didn't help him or the team. He's most effective when rampaging into loads of space centrally with the ball, or as a finisher in the box. We don't seem to make much use of either situation. I think it tells you all you need to know when he's getting taken off for a kid in a must win game. He has to go this summer, not a bad player but just not the right one for us. Moving him on will be a challenge though. It tells how out of his depth was Ole with his in game management to take off Lukaku, our best attacker today and leave Lingard the entire 90 minutes. Do you think he’s Lionel Messi so he will take the ball and run through their defense? What did his creative teammates offer to him today? Do you think he’a Lionel Messi so he take the ball and runs through their defense? What his creative teammates offer to him today? I think it’s just we don’t see enough movement from him. This. Lukaku was willing to get out of his comfort and try thing on the right wing, whatever the feck Lingard was doing, I have no idea. He should have stayed on the pitch. Why was he moved to Right and then, he kept on firing crosses to our midget forwards. Oh come on. He was miles better than Lingard and Martial. He’s not at fault that Martial had a right stinker and Lingard can’t play football. Best attacking player on the pitch for us by far and he was just ok.
Found that odd aswell, we kept crossing and Lukaku on the RW. Deciding who to award the title of "best" attacker to between Lukaku, Martial and Lingard feels like a very pointless exercise in all honesty. He started decently but faded as the game went on, I've never been a fan but he was unlucky to be the attacker hooked in the last 2 games, not good enough but none of our attackers look good enough right now. I agree but I’m tired of this being the standard if I’m honest. Not impressed with him today, but it was the same with everyone. He is not a player to do things on his own really either when the team is not creating chances. He did fine considering Lingard and Mata were poor. He took replacing Mata on the right wing a little too literal. He is a fat lazy man. His arms do more work pointing than his legs do running. Brian dead, overweight, inconsistent. Get rid and buy a running striker. Anyone ever see his heat map or sprint stats?